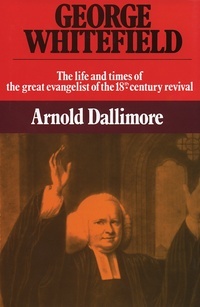 Volume 2 is the completion of the major biography of the famous Methodist preacher and revivalist. This volume covers the period of 1741-1770. It opens with the doctrinal conflict with the two Wesleys and with a serious division in Methodist ranks. There is a visit to Scotland in which revival reached its high watermark. He spent years evangelizing; went seven times to the American Colonies and Scotland had fifteen visits.